Jasper Fogerty Lawyers provide specialist legal advice and advocacy in all aspects of white collar crime. New legislative and compliance regimes, together with enhanced powers for investigative bodies, has led to increased white-collar crime prosecutions statewide and nationally. Our unique skill set means that we are at the forefront of this increasingly complex area of law. In appropriate cases, we will work with external specialists such as accountants, auditors and computer forensic analysts to achieve excellent results that might not otherwise be possible. 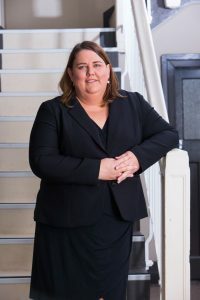 Julia Jasper is the only criminal lawyer in Queensland who hold dual qualifications as a criminal defence specialist and Chartered Accountant. She has more than 12 years' experience working as a an accountant in the corporate world and as a Senior Financial Investigator for the Western Australian Police Force and the Crime and Corruption Commission in Queensland. Julia's unique skills and experience give her an unrivalled advantage in all criminal matters involving a financial or corporate aspect and in proceeds of crime proceedings. We also appreciate how new and emerging technologies are changing the face of how corporate crime is investigated. Resolving large proceeds of crime matters.